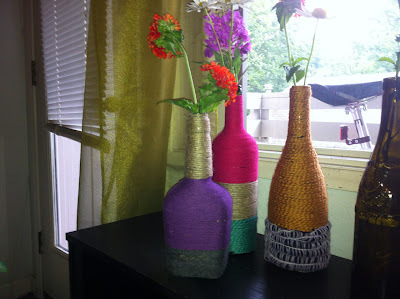 I felt like getting crafty...and decided to do something with the left over wine bottles we had sitting on our counter. 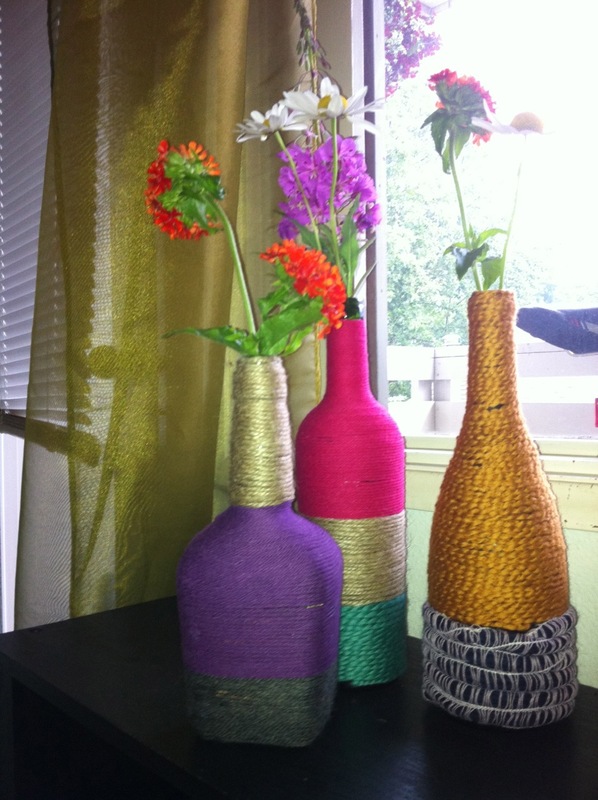 When Leah and I first moved to Anchorage and didn't have much of a social life, we were into knitting...for about a month. 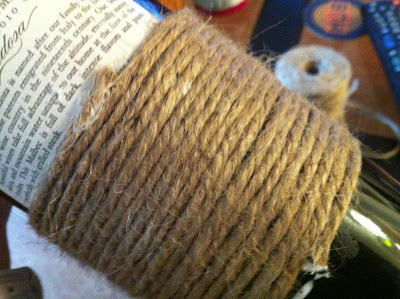 I had purchased some yarn during that time and ever since then, the yarn has been sitting in a bag in my closet (with my half knitted scarf). 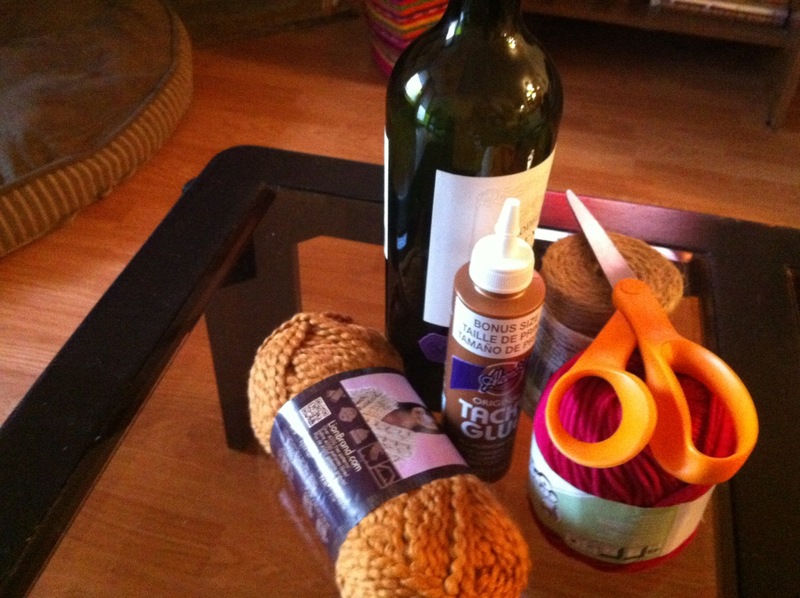 So...I decided to put the yarn to good use and made a yarn wrapped wine bottle. I saw these bottles at Mabel McKinley, one of my favorite boutiques in Anchorage. 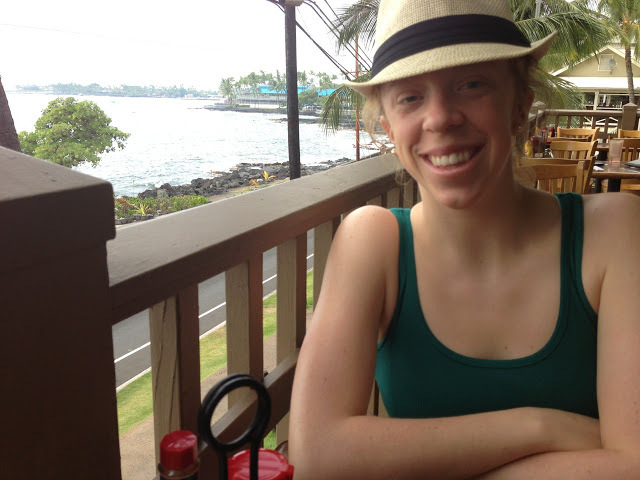 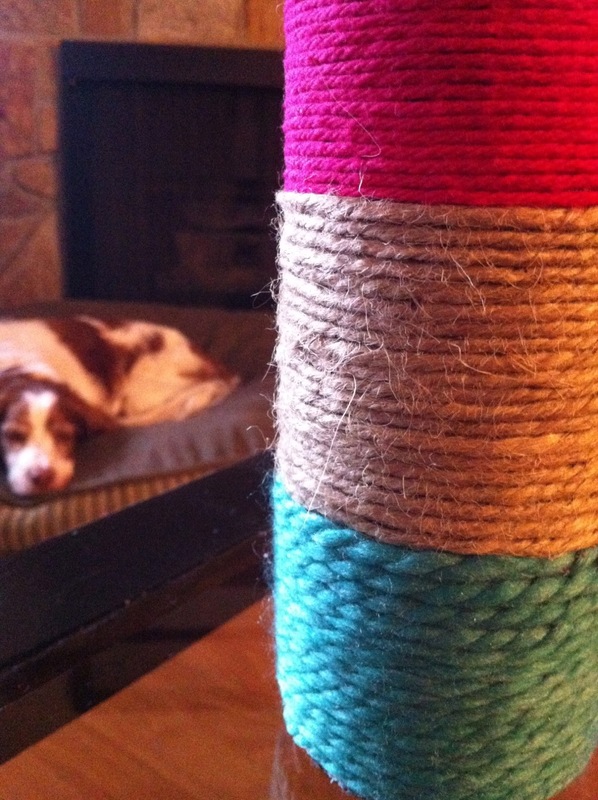 Mabel McKinley has great vintage, handmade and repurposed clothing and home decor. The owner, Deela, is a friend of Leah and me. 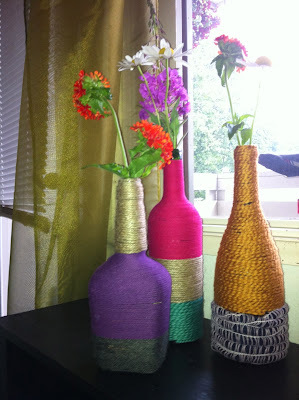 Quite easy to make, all you need is a few colors of yarn, scissors, a bottle of Tacky Glue and of course, an empty bottle of wine. To make the yarn wrapped wine bottle, wrap the yarn around the wine bottle, using glue to secure the yarn to the bottle as needed. I found it easiest to begin wrapping the yarn at the top of the bottle and then work my way down to the bottom of the bottle, although you will notice in the picture below, I started wrapping the yarn around the middle of this bottle. 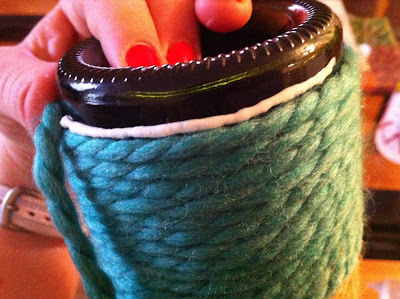 When ready to change the color of yarn, secure the end of the yarn with glue and begin right where you left off with the new color of yarn. 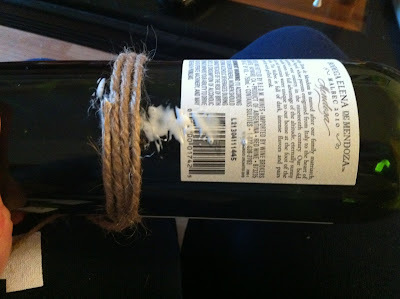 At the very bottom of the bottle, I secured the yarn all the way around the bottom with glue to make sure the glue did not slip off the end. 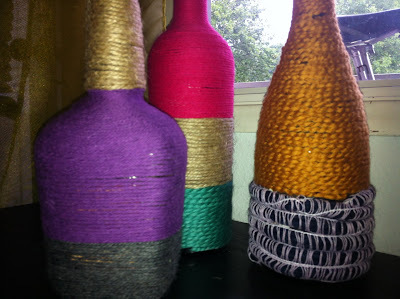 Using different colors of yarn, these bottles can really pop with color. 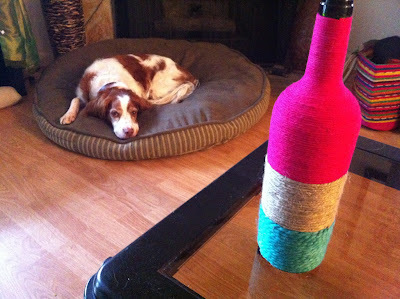 Rio was great company while I was making the bottle...actually I think she was bored and waiting for me to take her for a walk, which I promised to do after I completed this project.